Welcome to the Slumbering Oblivion Kickstarter! The intent of this Kickstarter is to raise funds to fully realize a new line of highly detailed Lovecraft inspired gaming miniatures. 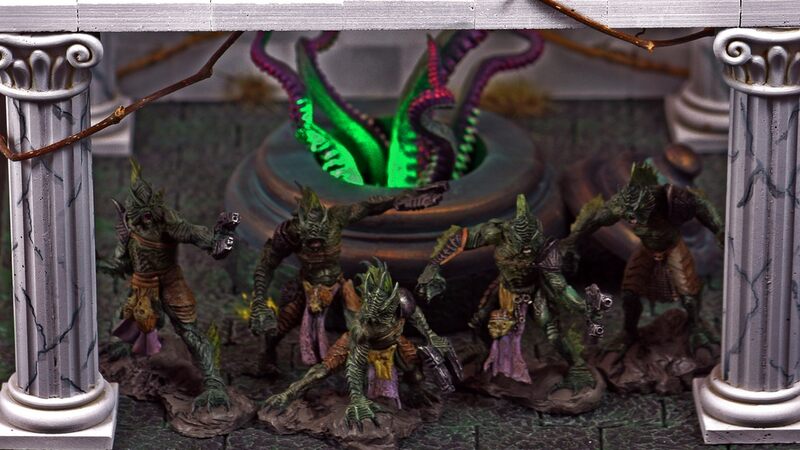 The introductory miniatures are a group of 5 Elite Deep Ones and once they get funded there are many other creatures that can also be made a reality as part of this Kickstarter. The miniatures planned are a mix of both creatures mentioned in the works of HP Lovecraft and also many original concepts inspired by his works. The miniatures vary in size but are scaled for 32mm, are made of resin and come unpainted and unassembled. These miniatures are part of a developing science fiction and horror miniatures based tabletop war game called Slumbering Oblivion. As such, many will have futuristic weapons but since some backers may want to use these as proxies in other games, most also come with alternate low tech weapons. These are included with each miniature so you can equip them as you see fit. Nothing additional to buy to make them one way or the other.